2. 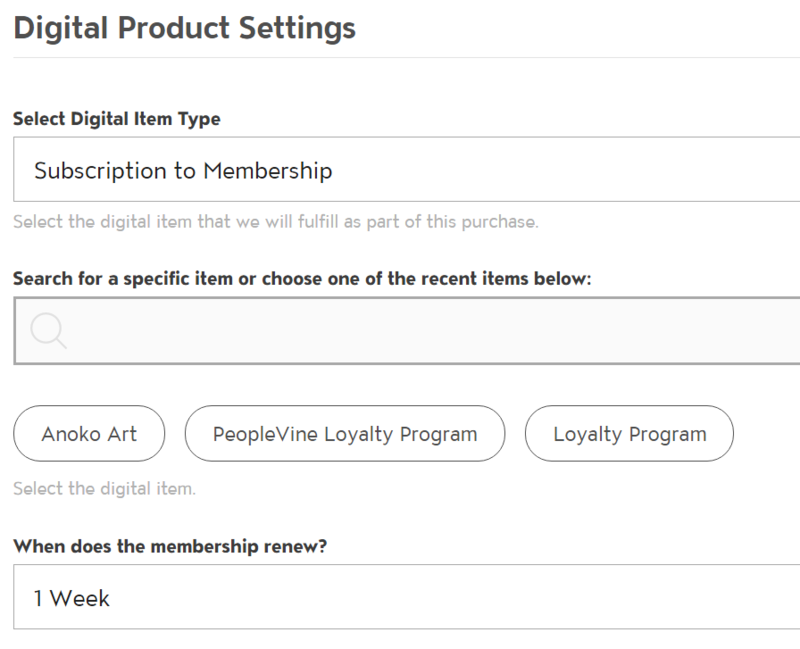 Under digital product settings, select Subscription to Membership, select the membership and set the duration. 3. The duration will automatically activate the membership card for that period of time. Then upon expiration, the member will receive an email to add a credit card on file for recurring billing.